During the summer we tend to eat breakfast for dinner more often. It makes a great summer dinner because it is an easy dinner to prepare, doesn’t use the oven, and everyone loves it. 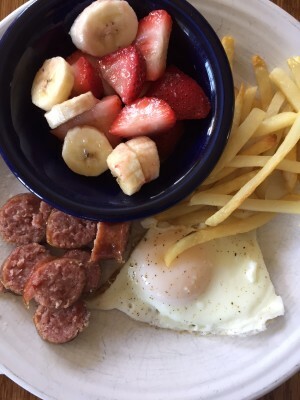 One night recently it was eggs, sausage, french fries, and fruit. Delicious! I shared this on Instagram last weekend. My view this morning while catching up on some blog work and email. 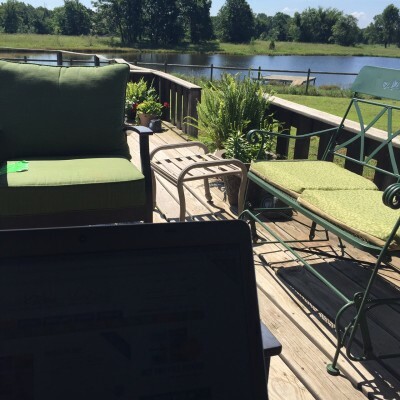 I will admit there are times that living in the country can be a pain, but days like this when I can sit outside with this view and work are the days I LOVE it! I have recently had a few days where I feel like living in the country is a pain. There are no quick trips to town to pick up things or see friends. There are no quick trips to a doctor’s appointment. Everything takes so much longer when you add in the drive. But working on my back deck last weekend with the view above, put it all in perspective. There is always a trade off with what you get and I wouldn’t trade that view. Yes, I truly do love living in the country. This picture represents two things. Teaching kids to cook pays off and picky eaters can grow out of it. My middle child made this for lunch one day this week. She basically made herself fajitas. 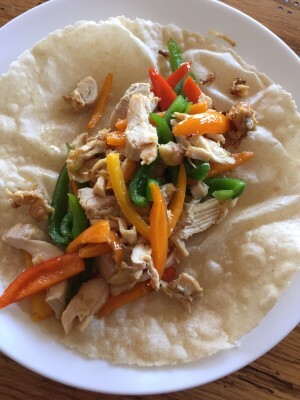 She fried up some peppers in a little oil, added in some leftover chicken and seasoning, and ate it on a tortilla. It was a simple and healthy lunch and I was thrilled that she made it herself. She is currently my child that loves to spend time in the kitchen cooking. She loves to experiment with food and flavors. And because she is cooking more it seems she has pretty much grown out of her picky eating habits. Oh we had the battles over food when she was younger. She is a pretty typical, keep life interesting, middle child. We all need one like that right. 🙂 And food was often one of our battles. I can’t tell you how many times she refused to eat things with peppers and onions in them. Now she loves them. Yes, one of the big foods we used to battle over is the same one she is now choosing to cook herself for lunch. For those of you going through the picky eating phase or the phase where they make more messes than they can clean up, know that it will get easier. It does get easier. Some day they will grow up and cook their own food and they will eat things you never thought they would. 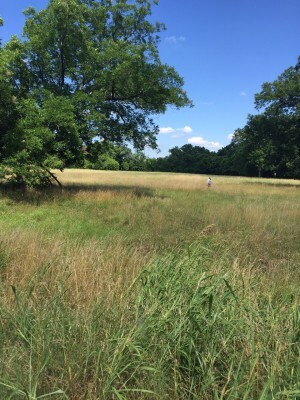 Some days I really miss the mountains and trees of Oregon, but I have to admit that an Oklahoma field with some old pecan trees in it has a beauty of it’s own. Every place has a beauty of it’s own if you just stop and take the time to look around. 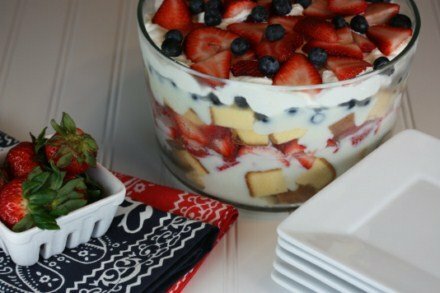 If you need some last minute ideas for the 4th of July be sure to check out the post I wrote last year on 4th of July recipes.